It’s that time of the year when we apply more bronzer (even in the Northern regions) and use products that may be more wet and wild than normal. So here are the Top Five Makeup Brushes for the Summer of 2017! 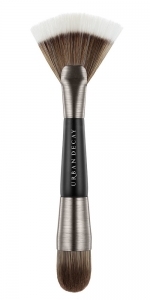 Already sold out at Nordstrom, this $47 brush is still available at Bloomingdales and the Estee Lauder website. This is listed first simply because it’s the most interesting new brush. I’m a big fan of unique brush shapes to deal with makeup application challenges, and this brush is undeniably unique. It’s like somebody took a standard fan brush and simply held the toe in their hand with their thumb depressed in one side and their fingers curled up the back to bend it in a U-shape or a scoop. This is a helpful thing to do because in this shape, you can apply bronzer to your contours in a way that is less chiseled and more natural. Unfortunately, there is zero information on the brush fiber provided but it appears to be an advanced synthetic. It does hold on to powder nicely. Now why they wouldn’t disclose this in their marketing materials is beyond me. Now is it worth $47? I’ve been asking myself that question as a I use it these last few days, and to be honest, I’m not sure. For this price, you probably want to love this brush. No, I did *and do* love the Estee Lauder Sculpting Foundation Brush, but I’m not 100% on this new one. I guess it depends on your need for natural contouring and how much you are contouring. 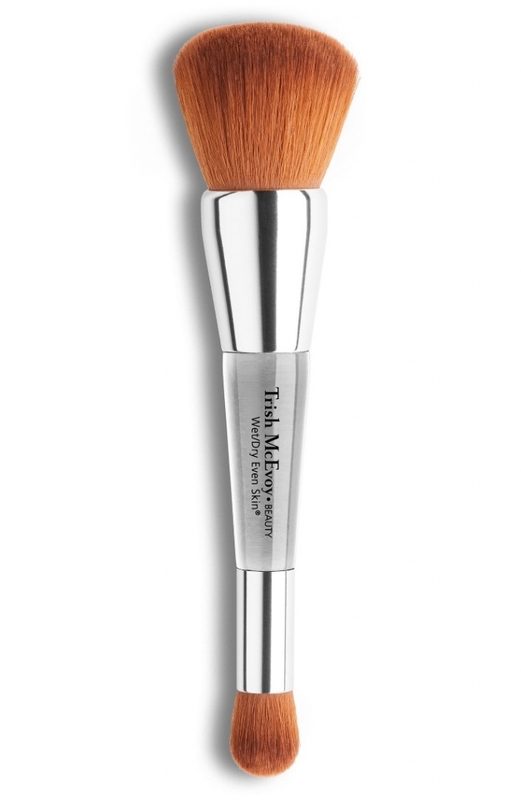 For $60, this multitasking brush – sold out (again) at Nordstrom but available on backorder on the Trish McEvoy site – is marketed as having “the softest, highest-quality 100% Japanese Nylon” brush fibers. This is a brush that I truly love. While the thick top toe handles liquids like you would expect, it also handles thick creams like a champ, which is why I love it for summer. And it also has a little handle finger like toe on the end for all sorts of tasks, like adding a little illumination. Love. Worth the sixty US quids. This dual-purpose synthetic brush retails for $39 and is, like the brush above, designed for use with powder and creams. Specifically, it’s designed for use with the Naked Skin Shapeshifter kit, a great summer palette ($45). I’ve been singing the praises of fan brushes for a long time here, so we really like this combination of toes. In addition to the fan, which is larger than these photos might suggest (as you can see in the videos below), it also has a mini domed brush. UD is famous for its Optical Blurring Brush, and this is sort of a mini version of that. So, My Brush Betty considers this brush a really high value – possibly the best value brush on this list, depending on your needs. UD makes a point to mention that its synthetic fiber is made from recycled plastic bottles and is easy to clean and doesn’t trap bacteria. For $45, this set is a steal with the brush. It’s not entirely “new” but this is a great little contour brush with some nice makeup thrown in. Although it’s a contouring kit, if you read the reviews and watch the videos, the contouring has a bronzing effect perfect for summer. 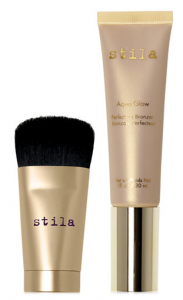 We’ve written about the Stila Wonder Brush ($58), which is a great total body bronzer, and Mini Wonder Brush ($25), a solid little bronzer, sculpter, multitasker for the face. Here, you get in a $39 set with the Aqua Glow Bronzer. Or you can just get the brush.